I love this time of year! Crisp, fall mornings – nothing better than waking up, putting on some fuzzy socks and wrapping up in a comfy blanket while spending time with the Lord. Especially when you know breakfast is already taken care of! 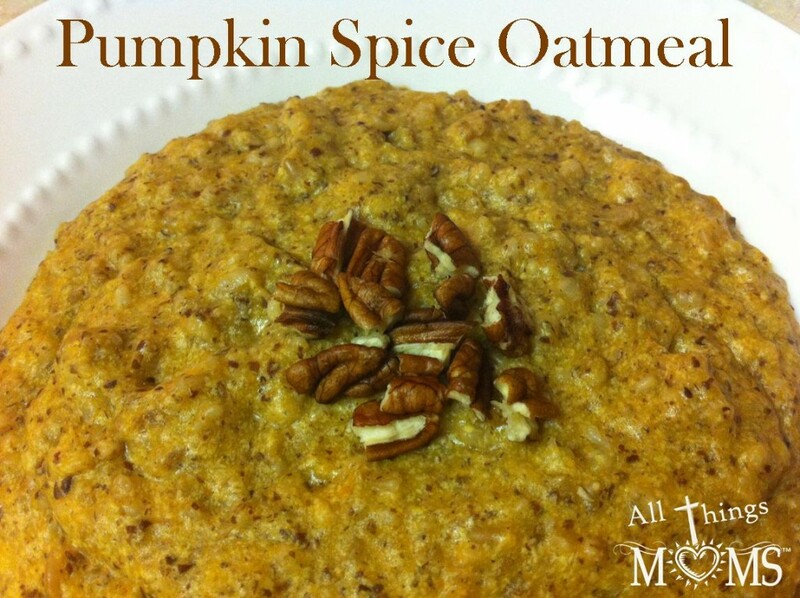 This Pumpkin Spice oatmeal is warm and filling and can be done in the crock pot overnight so you can wake up to a perfect fall breakfast. Unfortunately, if you are like me you may not have thought that far ahead and find yourself waking up to a cool house with no warm, delicious oatmeal ready and waiting for you. On those days what do you do- Go for the cold cereal? definitely not. Generic, Plain Oatmeal? wouldn’t be the same. Breakfast Pizza? out of tortillas. No! I will not be stopped! I will enjoy my Pumpkin Spice Oatmeal- even if it means I don’t eat breakfast until bedtime!! Woah… Settle down… No need to go crazy- I have a solution. The Deep Covered Baker– the crock pot for the impatient, lol! Now I can enjoy this yummy oatmeal even on days when I don’t plan ahead. 1. 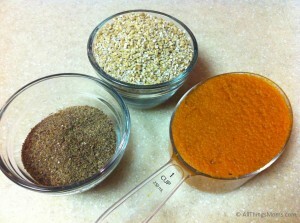 Place all the ingredients in the baker or crock pot and stir to combine. For Deep Covered Baker: Place in the microwave, covered and cook for 35 minutes at 50% power. Stop to stir every 10 minutes. 3. Add your favorite toppings and Enjoy! For a crunch you can top with pecans, walnuts or pepitas. To add a little sweetness you can use maple syrup, honey or brown sugar. 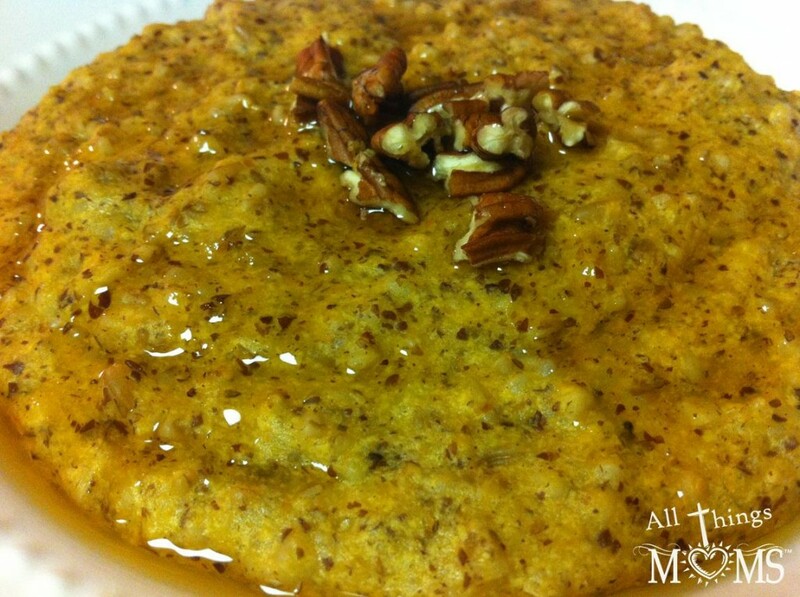 I topped mine with maple syrup and chopped pecans- Yum! Prepare yourself- you’re in for a treat with this one! It’s my new favorite fall morning breakfast! What’s your favorite thing about fall mornings? Sounds like way too much liquids… 4-1/2 cups of milk.water to one cup of oatmeal?? Is that correct?